When fixing cross rail timber to concrete post it is best to first bolt a vertical 100×50 timber to face of post, to which the cross rails can then easily be fixed at a point of your choosing. For wire fencing, intermediate posts can be spaced at 3.0m centres maximum. 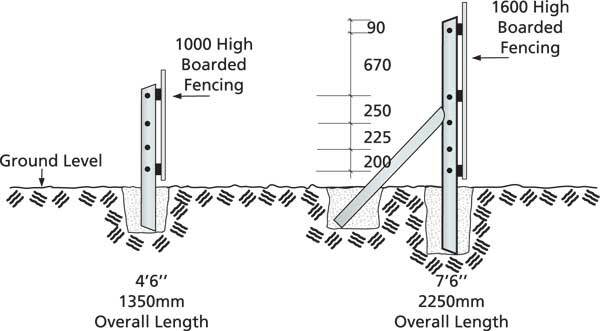 However as rails for timber fencing are supplied in 3.60m lengths, the concrete posts should be spaced at 1.8m centres to allow rails to be stagger jointed on posts.